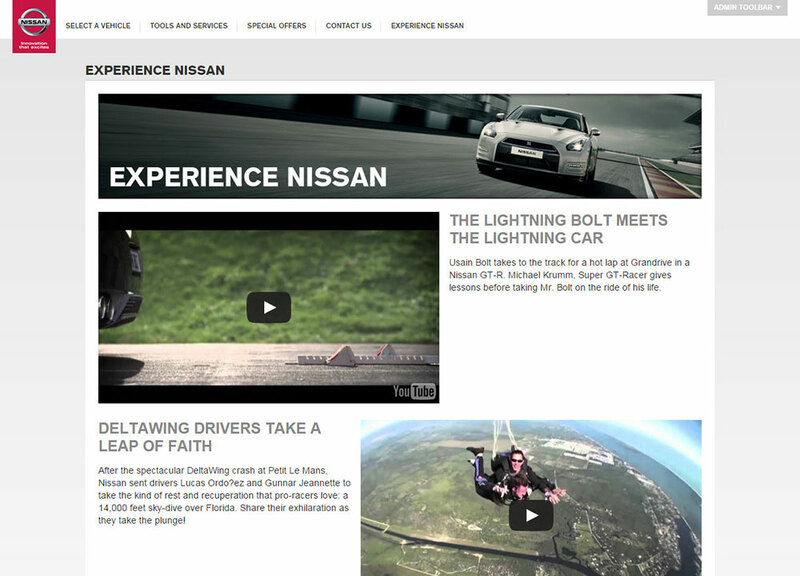 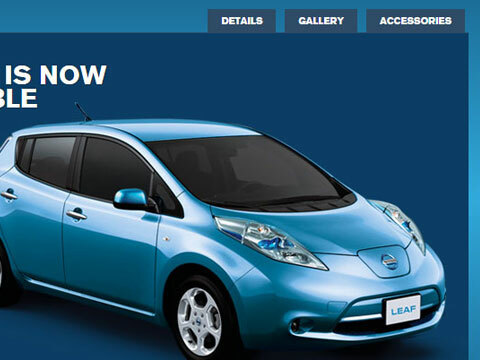 The smaller market sites of Nissan Europe needed to revamp their Flash-based website into a responsive design while maintaining the style guidelines set out by Nissan. 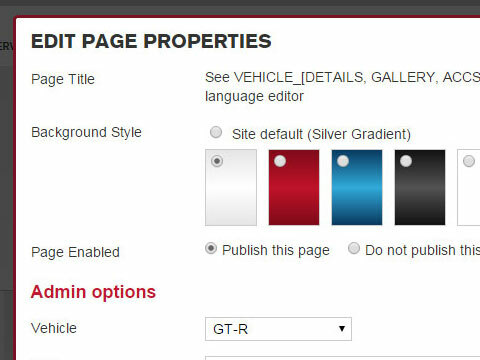 In addition, a custom CMS was needed to allow editors to easily add vehicles and pages without having to know HTML. 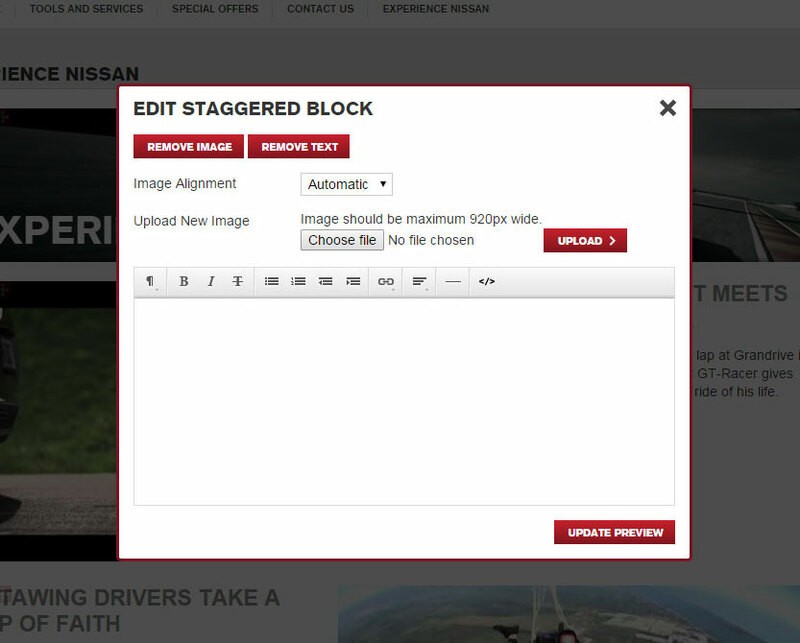 The home page primary and secondary items are easily edited, letting editors feature new vehicles or highlight promotions. 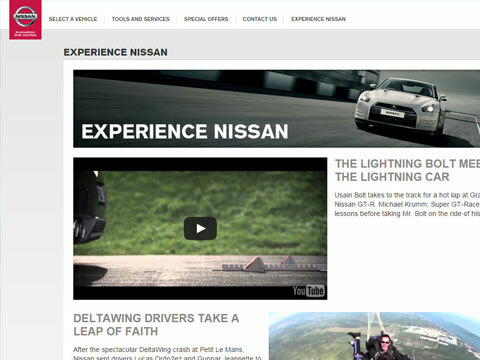 In addition, the official Nissan font was optimized for web usage to ensure the brand guidelines were met. 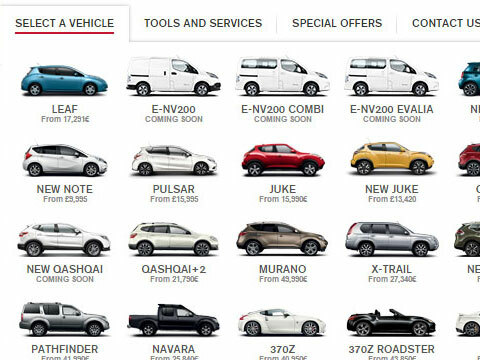 Nissan Europe's smaller markets had all of their previous sites implemented in Flash. 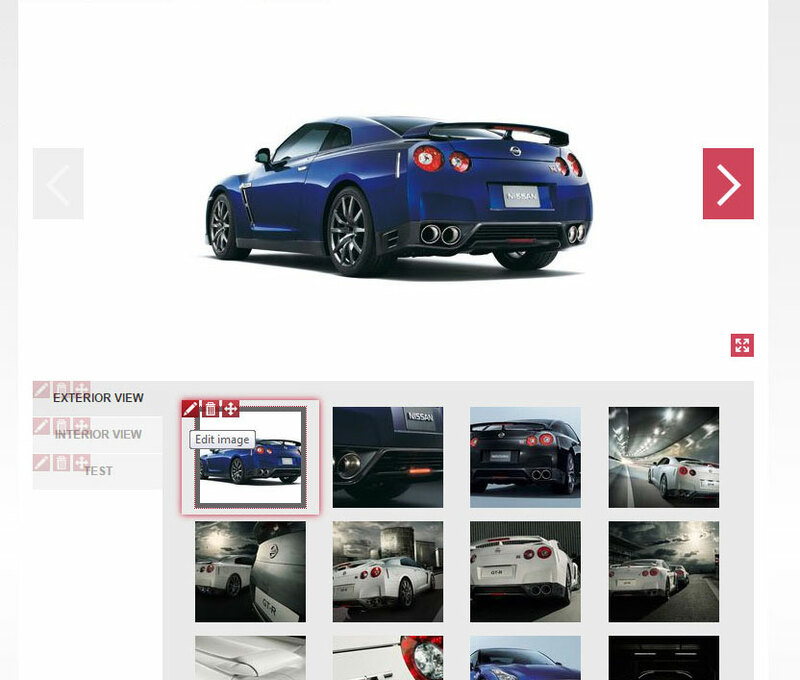 Using this as a "mockup", a proper HTML/CSS implementation was made based off the design pattern. 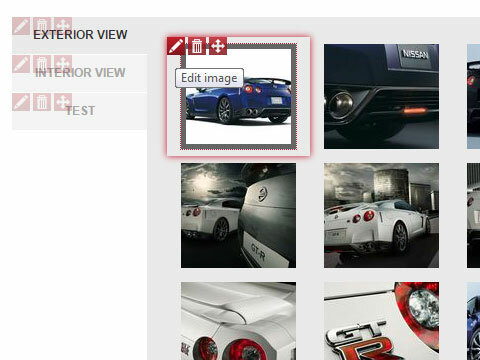 Design elements and images had to be created to fit the new platform, including resizing of each vehicle hero shot for use in various situations (primary/secondary items, navigation/footer, etc). 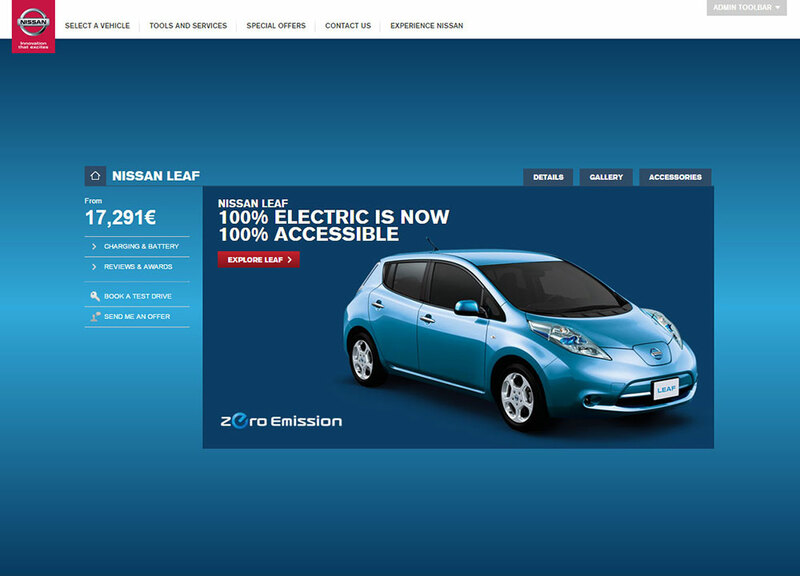 An important aspect of providing a new platform for Nissan Europe small markets was ensuring that the brand guidelines were enforced. 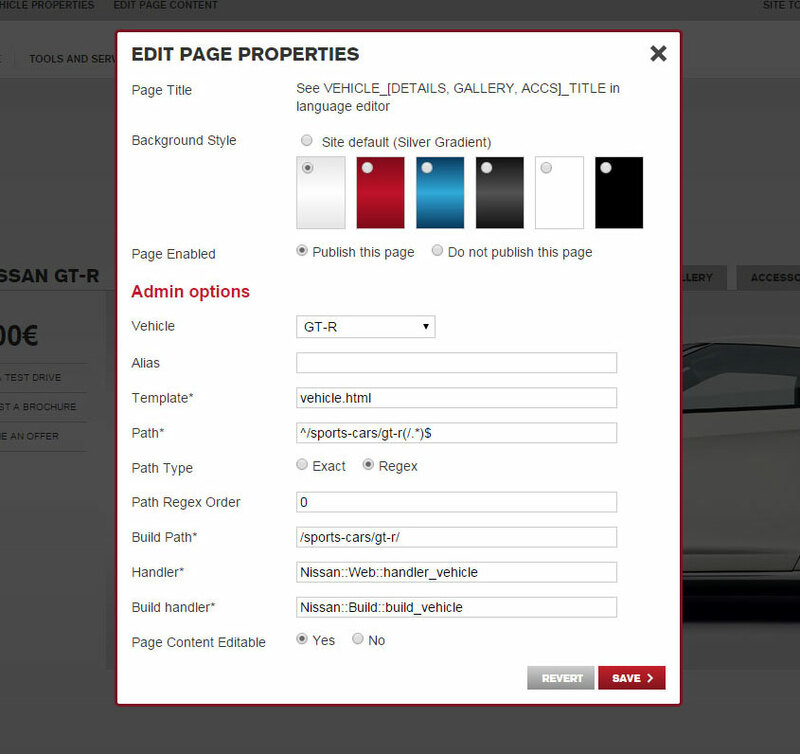 A customized CMS was developed to provide only brand-approved colours, styling and layout to editors. 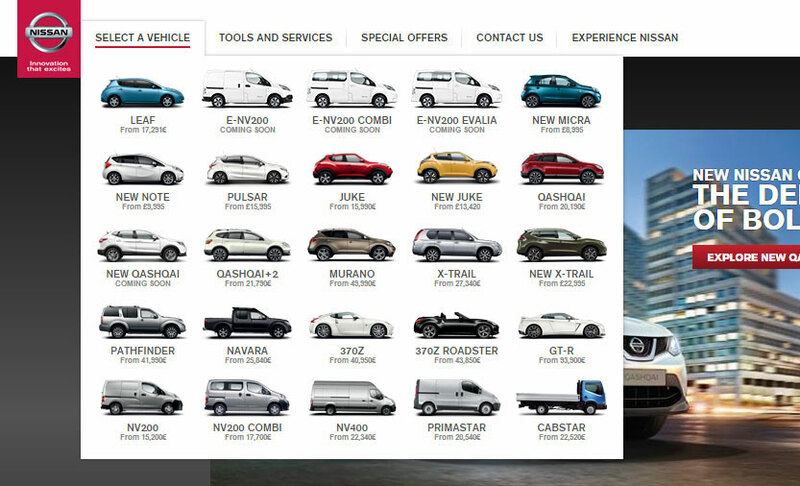 One of the benefits of having a non-Flash site design was the ability to do responsive design. 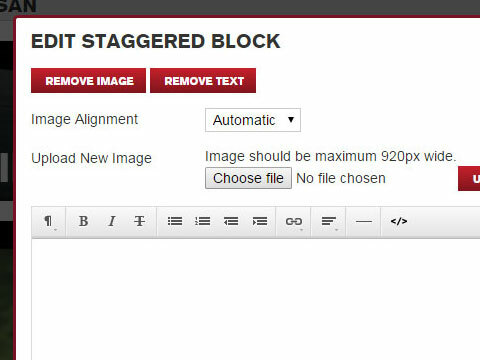 The new HTML/CSS based platform now allowed for site exploration in devices of all screen sizes and resolutions.